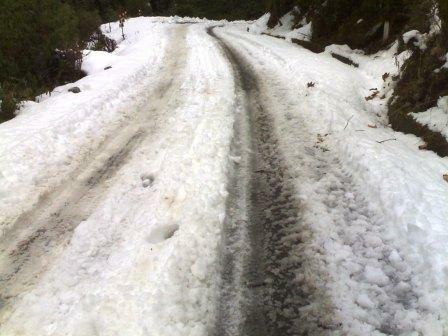 Snow fall in the Badrinath, Auli and other places in Uttarakhand, Latest News:-The Snow fall is starting in the various places of Uttarakhand state. And the cold is increasing day by day. As we talk about the Auli then it is cover with snow with other surrounding mountains of it and the temperature decreases to negative or minus. And the skiing season is start in the Auli, because Auli is the world famous skiing destination in India. 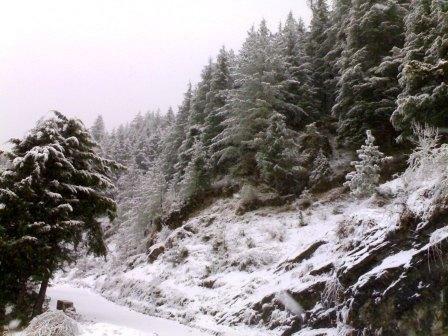 The heavy snow fall is also cover the Hemkund Sahib with seven to eight feet snow. There are many tourists and visitors are waiting for the snow fall and now they are ready to enjoy the snow fall in Auli. Many tourists are also gone to Auli to see the snow falls in hills. The hotel and other businessman are also glad to see the snow fall. The hotels are booked in the Auli for many days, and also many booking are working for the skiing in Auli. The Shri Badrinath Dham is also covered with snow and all the mountains around it are also cover with heavy snow fall. Stay connected with us for more updates about latest Uttarakhand news, exams, places, hotels and other. And if you want to book hotels and Cab for Auli trip then you may also contact us by email. Our email is onlineuttarakhand@gmail.com. You may also follow us by our site and Google+ and you can also like us on Facebook to get our all the latest update on your Facebook wall.